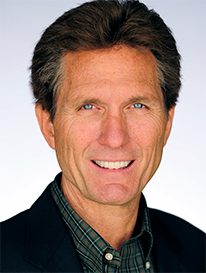 Company Leadership - LifeWave, Inc.
David is the inventor of the LifeWave Technology and founder of LifeWave. 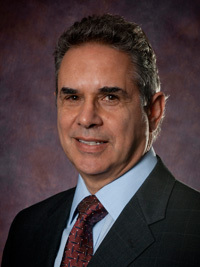 David’s experience in business and product development spans over 30 years and includes a formal education in Management Information Systems and Biology at Pace University in Pleasantville, NY. David then went on to pursue several entrepreneurial endeavors and as a result owned successful companies involved in manufacturing and product development. One of these companies, Advanced Applications Group, is a Research and Development center that specializes in energy production technologies for both military and commercial applications. During his time with AAG David developed new methods for producing Hydrogen and Oxygen, designed and prototyped multi-fueled bladeless turbine power generation systems, and constructed metal-combustion rocket engines. As a result of his innovations David was presented with an honorary doctorate by Dr. Alexander Marinaccio of the International Hall of Fame. In addition, as a result of work performed in the design of emergency Oxygen systems for General Dynamics and the U.S. Navy, David was invited to participate in the Navy’s next generation mini-sub program. The LifeWave Technology was born out of 3 years of intense research by David into the concept of being able to naturally increase energy and stamina through elevation of fat burning utilizing wireless communication to the human body via phototherapy. The LifeWave Technology is now available to the public and David has committed the past 15 years into making this opportunity a reality. David is the holder of more than 100 patents and patent applications globally, with more than 70 patents being in the field of regenerative science and technology. One of his inventions, the Double Helix Conductor, received a research grant from Scientific Foundation Ireland and was evaluated with multiple research studies at the National University of Ireland Galway (NUIG) and the Regenerative Medicine Institute (REMEDI). It was uncovered in this research program that the use of this device, which produces a novel blend of electromagnetic and non-electromagnetic fields, could produce improvements in the speed of wound healing that rivalled that of injections of stem cells. It was this experience that led David to realize that phototherapy could be a means by which a person’s own stem cells could be activated into a more youthful state as opposed to requiring an injection of expensive and potentially dangerous stem cells. Hence, after 10 years of study, the X39 patch was born. As the CEO of LifeWave since 2002, David has overseen global operations of the company as expansion has taken place into more than 100 countries, with offices in The United States, Ireland and Taiwan and distribution facilities throughout the world. As a result, LifeWave has been a multiple recipient of Inc. magazines’ list of fastest growing companies. Jim has over 30 years of entrepreneurial business development, creative marketing, television production and project management experience at the executive level in the direct response and network marketing industries. He was a consultant to Pre-Paid Legal’s (now Legal Shield) CEO on several marketing projects ... and for LifeWave, after meeting David Schmidt almost 15 years ago, went on to consult and periodically work with him on key projects including LifeWave’s first Ice Wave video. He was thrilled that introducing David to Suzanne Somers led to her becoming a powerful ambassador for LifeWave for almost 10 years. For over 20 years Jim owned, operated and was executive producer for performance-driven Future Thunder Productions, Inc., which was consistently recognized as a marketing leader in the Direct Response Television (DRTV) industry. Jim has won dozens of awards associated with over 100 critically and commercially successful advertising campaigns that drove $1.5 Billion in sales through all distribution platforms worldwide in as many as 15 languages. He was inducted into the DRTV Hall of Fame for his accomplishments. 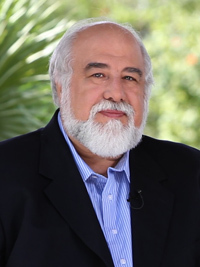 His advanced presentational and writing skills come from working in front of and behind the camera for thousands of hours of television programming from live broadcasts in New York to syndicated programs seen across the US. He has travelled extensively throughout the world and his formal education includes studies at the US Air Force Academy and Arizona State. A leader in Finance and Operations management for more than 25 years, Joseph DePanfilis comes to LifeWave after serving as Chief Financial Officer, Chief Operation Officer and Director of Finance for privately held, publicly traded, and private equity-held companies. He has experience in diverse areas of industry finance, including high-tech auto manufacturing, aerospace, medical device, telecommunications and consumer products. Joseph has also directed financial management of foreign operations, served in accounting capacities, as well as played a key role in business start-ups and turnarounds. In his career he has garnered a strong reputation for improving operations and impacting business growth through such measures as strong and resourceful finance management, and productivity/efficiency improvements. 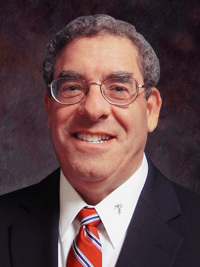 Joseph holds a Bachelor’s of Science degree in Accounting from Johnson and Wales University, in Providence, Rhode Island. Jules Rudick has an extensive, 30-year international business career having lived and worked in Hong Kong and Taiwan for more than 25 years. From 1982 – 2005 he owned and operated Rudick International Ltd. in Hong Kong. Additionally, Jules has set up and operated numerous joint ventures in Hong Kong, China and the United Kingdom, acting as director for many of these private companies. Over the course of his career, Jules has developed extensive business relationships and contacts throughout North America, Europe, Australia and Asia. From 2005 until joining LifeWave as the Vice President of Planning & Strategy in January of 2009, Jules worked as a business consultant for small and medium-sized businesses in need of business expertise and private equity funding. Jules holds a master's degree in International Management from the American Graduate School of International Management in Glendale, Arizona. He speaks fluent Mandarin Chinese and Cantonese and is an Associate of the Institute for Independent Business. 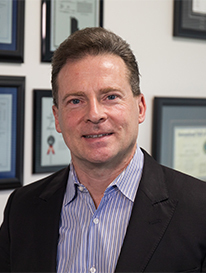 Dr. Steven Haltiwanger is a licensed medical doctor and certified clinical nutritionist with over 25 years of practice. Prior to joining LifeWave as the Health and Science Director in 2004, Dr. Haltiwanger served as the Medical Director for the International Nutrition Corporation where some of his responsibilities included product development, overseeing quality control and the development of medical seminars. Over the course of his career Dr. Haltiwanger has also served in other medical and science leadership capacities including directing several health programs. In January 2005 Dr. Haltiwanger was appointed as a part-time lecturer for the Occupational Therapy Program at the University of Texas, El Paso and has spent time over the past several years educating physicians all over the world. Dr. Halitwanger is routinely invited to participate in speaking and lecture engagements at conferences and forums across the globe. When presented with the opportunity to investigate LifeWave technology, Dr. Haltiwanger concluded after careful and thorough research that LifeWave was "the most exciting technology that he had seen."